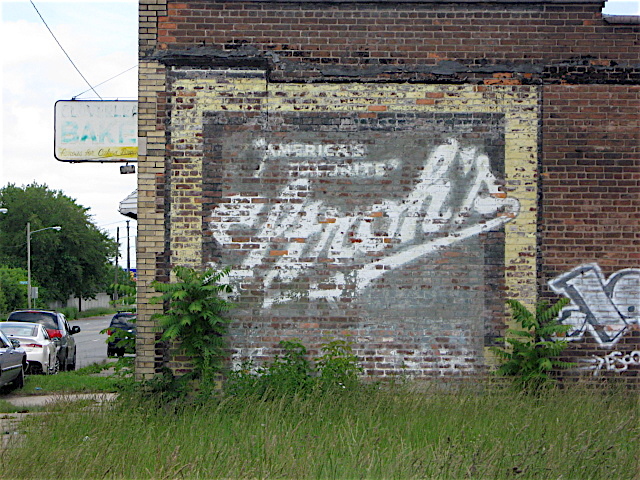 Detroit is an old city, and it grew rapidly from the early 1900’s through the 1950’s. As the city spread and the major streets expanded, plenty of small businesses were built and lined the streets. Like today, advertising was a must for getting people into those small businesses to buy their products. 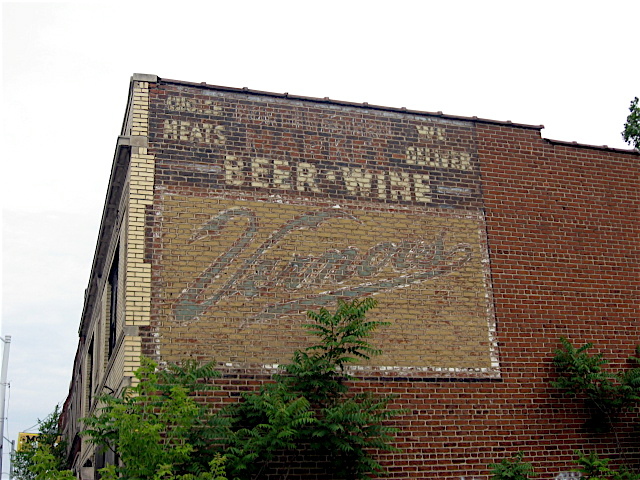 One of the advertising methods used back then was hand painted signs created on the side of buildings. 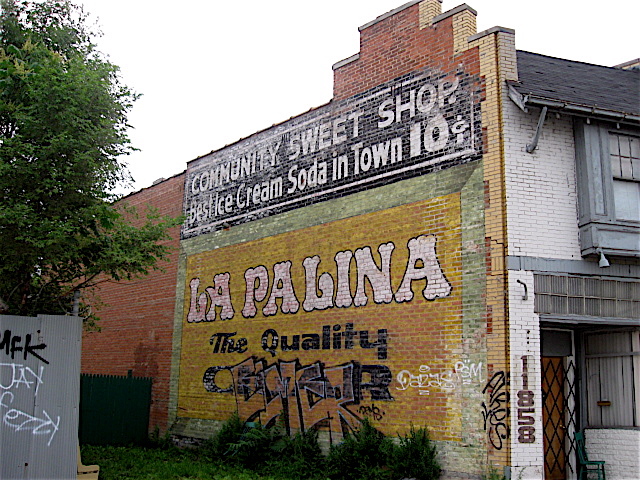 Many of those vintage signs with beautiful, scrolled lettering, and product highlights can still be seen on old buildings along the city’s commercial streets. In most cases the colors have faded quite a bit. 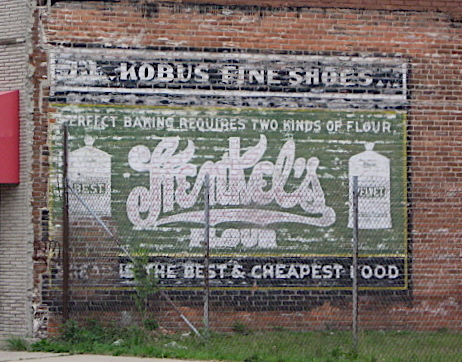 Despite the fading, it’s not unusual to see fresh-looking, pastel colors on the ornate, hand-painted illustrated signs. In this blog entry (the fourth in a series) are some of the more fascinating illustrated signs I’ve seen on my bicycle rides. 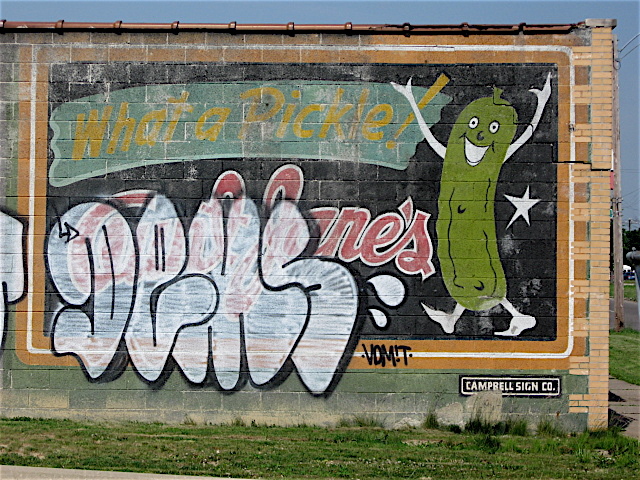 A couple of the vintage wall-side ads remind me of something that may have been printed on packaged goods found in a general store many years ago. There is a lot of history in this city, and unfortunately more and more of it is fading away, just like the signs. 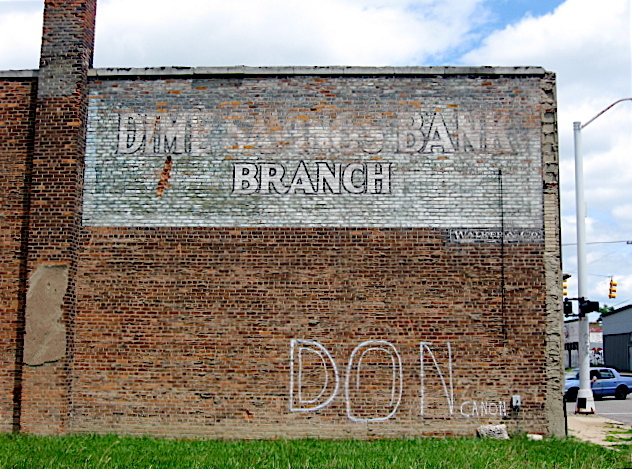 This is the fourth of an occasional entry on Detroit’s fading wall signs. You can check out the earlier entries by clicking on the headlines below.